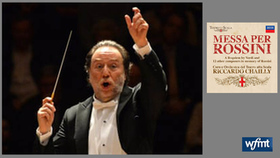 Riccardo Chailly was born into a musical family in Milan. He studied at the conservatories in Milan and Perugia and received specialized training in conducting from Franco Ferrara at his Siena summer courses. 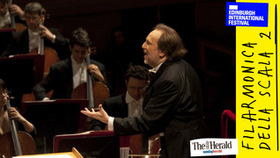 At the age of 20, Chailly became assistant conductor to Claudio Abbado at Milan's La Scala. He made his opera debut there in 1978 and was soon in great demand at the world's leading opera houses and concert halls. From 1982 to 1989 Chailly was principal conductor of the Berlin Radio Symphony Orches­tra, and from 1986 to 1993 held the post of music director at the Teatro Comunale, Bologna. He was appointed chief conductor of the Royal Concertgebouw Orchestra of Amsterdam in 1986 and became its conductor emeritus in 2002. From 1999 to 2005, he was music director of the Orchestra Sinfonica di Milano Giuseppe Verdi. He became chief conductor of the Gewandhaus Orchestra in September 2005 and general music director at the Leipzig Opera. 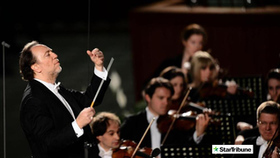 In June 2013 the city of Leipzig extended his contract with the Gewandhaus Orchestra to 2020. 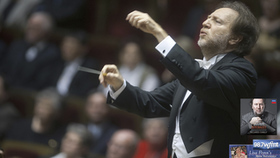 Chailly's deep-rooted connections to La Scala were reinforced in December 2013 when the company announced his appointment as its next music director. He will assume the post in January 2017 for an initial period of five years; meanwhile, he is set to become principal conductor at La Scala for a two-year term in January 2015. Highlights of Chailly's recent Gewandhaus seasons include hosting and participating in Leipzig's monumental International Mahler Festival as well as leading the orchestra on tours throughout Europe and the UK and to the USA, China, Japan and South Korea. Under his leadership the Gewandhaus Orchestra has also performed at the Salzburg, Lucerne, Helsinki and Grafenegg festivals, given concerts at the Bonn Beethovenfest and the BBC Proms and performed at the Vatican. 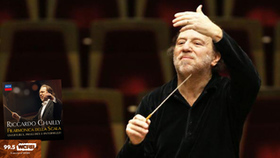 In 2013 Chailly appeared as guest conductor with, among others, the Filarmonica della Scala, Bavarian Radio Symphony Orchestra and Berliner Philharmoniker. His guest engagements in 2014 include performances with the Wiener Philharmoniker. 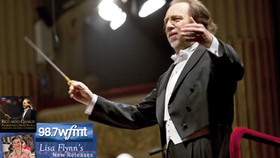 Riccardo Chailly has been an exclusive Decca artist for over three decades. His recorded repertoire ranges from the music of Bach and the great classical symphonic and operatic works to contemporary compositions. Many of the conductor's recordings have been crowned with prestigious awards. His Gewandhaus discography includes the Brahms Piano Concertos with Nelson Freire, Violin Concertos by Mendelssohn and Bruch with Janine Jansen, Schumann's Symphonies (in their orchestral revision by Mahler) and Mendelssohn Discoveries. In 2010 Decca released three albums of Bach masterworks recorded at the Leipzig Gewandhaus: the Brandenburg Concertos, the St Matthew Passion and the Christmas Oratorio; the composer's complete Keyboard Concertos were issued the following year. 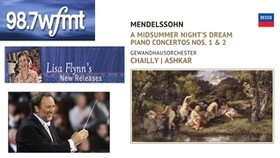 Two other 2011 releases also attracted critical acclaim: an album of Gershwin's works with pianist Stefano Bollani and Beethoven's nine symphonies with the Gewandhaus Orchestra. 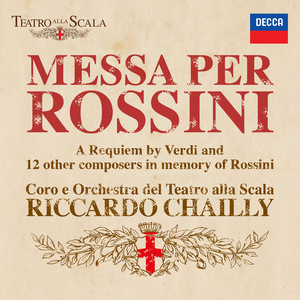 In 2013 Chailly and the Filarmonica della Scala marked the bicentenary of Verdi's birth with an album of the composer's Overtures and Preludes. His recordings of the complete Brahms Symphonies and the Violin Concerto with the Gewandhaus Orchestra and Leonidas Kavakos were hailed for their gravity, insight and expressive power. "Chailly treats the symphonies to the same brush-down he gave Beethoven two years ago, and the result is equally invigorating," observed London‘s Financial Times. 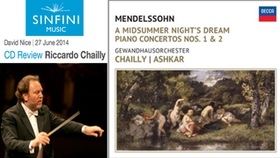 Chailly's latest recording highlights the Gewandhaus Orchestra's historic connections to the music of Felix Mendelssohn. The new album, set for release in May 2014, comprises the composer's Piano Concertos Nos. 1 & 2 and incidental music to A Midsummer Night's Dream. Under Riccardo Chailly, the Leipzigers have truly reclaimed a composer whose statue was once disgracefully removed – no need to guess by whom - from outside the Gewandhaus. All is joy and vitality in this significant miscellany. I've long wanted to hear what this team would make of the most irresistible overture/tone poem in the repertoire – and certainly the greatest large-scale work ever composed by a teenager – the Midsummer Night's Dream Overture, the speedy airiness of its fairy music matched by a fast but never over-pressed scherzo. READ THE FULL Sinfini Music REVIEW.